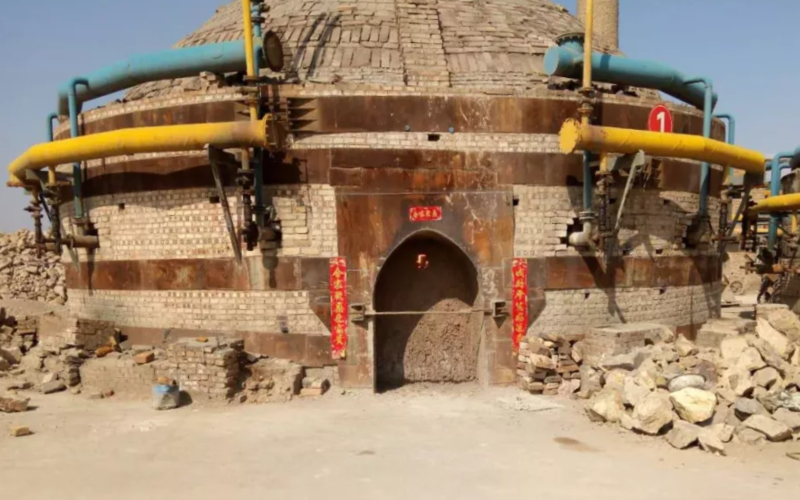 Lone survivor: one of 12 active downdraft bauxite kilns in the Jiexiu district of Shanxi province that is not subject to local government closures as in Xiaoyi, where a 3-month ban is in place. In our last post on the subject of China’s refractory minerals squeeze (see Dog Days ahead for Chinese mineral consumers? Newsfile 13 February 2018) I postulated that perhaps by the end of the Chinese New Year of the Dog celebrations, in early March, or maybe by mid-year, the industry might be in a better position to assess China’s production capabilities in light of the dramatic upheaval initiated in 2017 (see China minerals meltdown Newsfile 17 October 2017). It now seems that even a mid-year conclusion and regrouping might be too optimistic, and my longer term scenario more likely, ie. warning traders and consumers to brace themselves for a long haul of short supply and high prices through 2018 and into 2019. Indeed, the upshot is that 2017 will be seen as a game changing year, nothing will be quite the same again with Chinese refractory mineral supply regarding production capabilities and trading patterns. It was during the IREFCON conference in early March (see Refractory raw material supply “the single most important challenge” Newsfile 28 March 2018) when news emerged of a halt to magnesia production in the Haicheng district, Liaoning instigated in response to a gas explosion at the Huaziyu plant of Haicheng Huayu Group. The Haicheng government had issued an order that all magnesia plants using coal, gas and oil in their production must cease operations at once. Compounding the situation that month was the sitting of the First Session of the 13th National People’s Congress during 5-20 March; such government events now automatically trigger a clampdown on distribution of explosives for mining. It was understood that while dynamite provision for mining was unavailable in Haicheng and Anshan districts, it was available in Yingkou, Xiyuan, and Dandong districts. However, although magnesite mining continued in the latter districts, the ore is of lower quality and not good feedstock for the higher purity dead burned magnesia (DBM) and fused magnesia (FM) grades. At the start of the year, the Haicheng government also issued ban on illegal mining of magnesite in the district, which includes the use of mechanical excavators as opposed to drill and blast techniques. In response to the dynamite ban, some large scale miners adopted the use of excavators to extract magnesite ore, at apparently similar rates of recovery to blasting; smaller miners are unable to afford excavators. Magnesite mining on hold, again, in Liaoning, China. The Huaziyu magnesite mine, Haicheng, the second largest magnesite mine in Liaoning province. In March one source commented that he expected April to see a resumption of mining with explosives in Haicheng by a handful of companies, including Haicheng Huayu Group, Fengchi Refractories, and Haicheng Magnesite & Refractories General Factory. But by April, driven by the Ministry of Environmental Protection’s (MEP) continued implementation of the 13th Five-Year Plan for Ecological and Environmental Protection, government environmental inspectors started patrolling Liaoning and from 12 April stoppages started in magnesite mining and magnesia production. Magnesite mining is understood to have completely stopped owing to no explosives, while some FM production has been maintained only by those with remaining feedstock ore; overall, the quality of Chinese FM production is deteriorating. Other feedback from Liaoning echoes these comments, with phrases such as “it’s complicated” and “it’s getting more strict”. 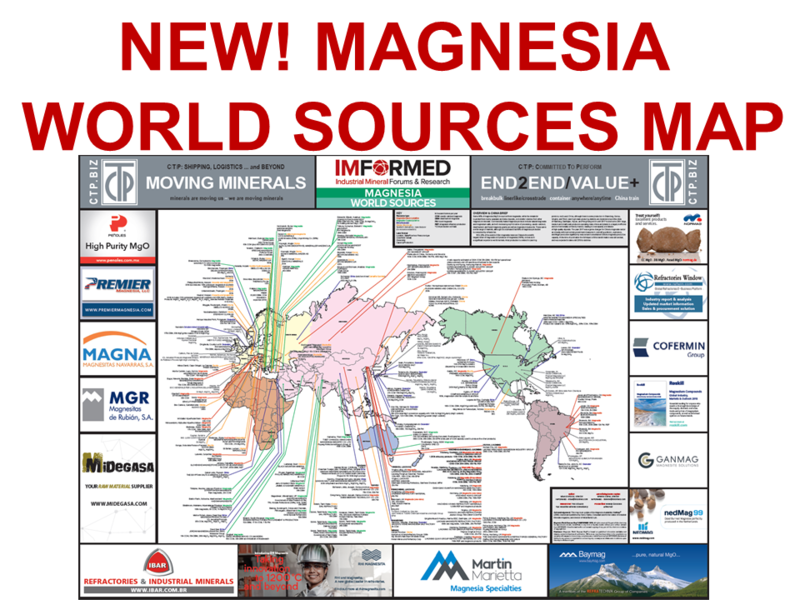 For any prospect of survival for magnesia producers in Liaoning, in addition to meeting government environmental regulations, they must invest in new and alternative processing methods, especially when faced with increasing lower grade feedstock ore.
At the recent Ceramitec 2018 exhibition in Munich, where the situation was much debated, IMFORMED was told of at least five magnesia flotation plants being built in China in order to upgrade magnesite ore. Some of the primary bauxite and brown fused alumina (BFA) production centres in Shanxi and Henan are also suffering another bout of stoppages, although the disruption is not province-wide as has been reported elsewhere. Most bauxite mining and calcination in the Xiaoyi district of Shanxi province has now ceased, after a brief resumption from the earlier 2017 closures, until the MEP’s regulations are satisfied. It is thought that production may resume at the end of May. Although March saw the end of winter season inspections in Shanxi, another round of inspections has been initiated by local governments focusing on regulated operation, safety and environment friendly production. According to local producers, “It will be a longer, harder time than expected”. Rotary kilns ceased activity from 16 April in Xiaoyi and surrounding areas. The MEP’s attention had initially been drawn to a chemical producer in the Xiaoyi area, caught with illegal discharging of untreated waste. All other industries emitting pollution have since been ordered to stop production, this not only includes bauxite calcination but also processing in the Xiaoyi area. The Yangquan and Jiexiu districts of Shanxi, important bauxite sources, are reported to have no such bauxite plant bans in place, although they are suffering ore supply restrictions. Bauxite ore mining in Shanxi province has been under severe restrictions since 1 March 2018, when the government implemented a special action aimed at illegal mining in Xiaoyi. A three-month campaign to crack down on large-scale illegal mining operations has been instigated, including: unlicensed exploration and exploitation, cross-border violations, and illegal mining under various names. It is reported that bauxite production in the Xiaoyi area will be suspended for at least three months. At the end of April, IMFORMED was notified that only one bauxite mine in the Xiaoyi area was still active “but at very low output”. The overall result is that suppliers can now only sell what they have in their limited and fast dwindling stocks. In Henan, there are conflicting news reports. One source reports that most BFA plants, including the larger players, have so far been unable to meet the MEP’s environmental regulations, and officially, production without licence is an offence. On the other hand, another source considered this only applied to Sanmenxia City, Henan, and that most BFA plants in Henan meeting anti-pollution regulations have been in normal production since the end of March. It is believed that the China BFA Association is trying to negotiate with the MEP to slightly lower the anti-pollution controls, although some observers feel there is little chance of this coming to fruition. As ever in China, where there’s a will there’s a way: some unlicensed producers are reportedly producing at night and taking advantage of the somewhat less intense inspection rounds outside the winter season in Henan (ie. after March and before October). Another new development from the MEP, which is expected to become mandatory, is its installation of online emission monitors at bauxite and BFA plant chimneys and dust collectors. The idea of the project is to constantly update emission data to the MEP’s system in real-time. The impact of China’s robust anti-pollution controls in Shanxi and Henan is important since these two provinces host most of China’s bauxite reserves, 37% and 21%, respectively. Guizhou province is also an important source, hosting 15% of reserves, although its more remote proximity to Beijing may favour less attention from MEP inspectors. With such clouds over China’s mineral production there emerge silver linings for both established and potential new producers of refractory minerals outside China. 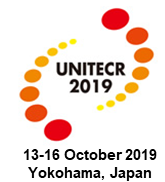 At Ceramitec 2018, it was heard that at least one leading European magnesia producer was exporting to China (unthinkable two years ago! ), while Hungarian white fused alumina and mullite producer REFRA System Ltd has responded to increasing customer enquiries by investing in an 8,000 tpa capacity expansion. 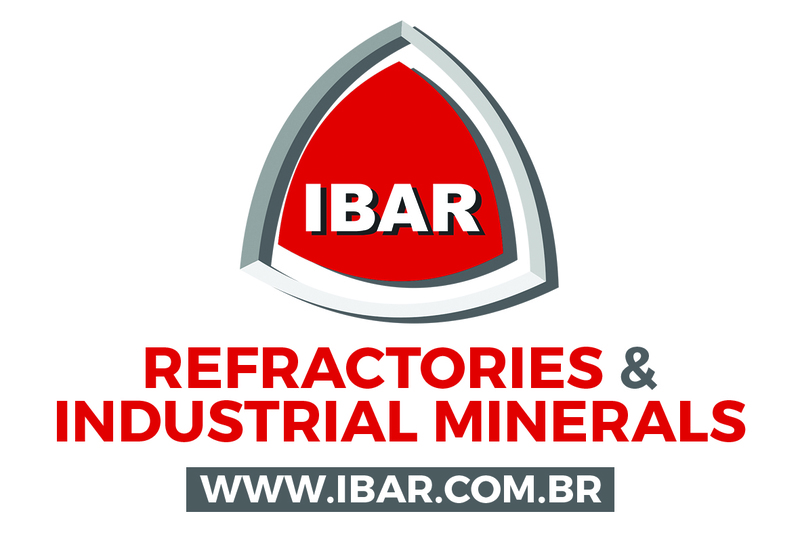 Also at the trade show, Spanish refractory minerals trader and processor ARCIRESA was promoting its new high alumina (92% Al2O3), low iron (0.45 Fe2O3) refractory grade bauxite, BauxStar90, sourced from….Guyana. Yes, this is the first commercial sign of the non-metallurgical bauxite mined by First Bauxite Corp. from its developing Bonasika project in Guyana. The bauxite is shipped to north Spain from Guyana and calcined at ARCIRESA’s plant near Oviedo, Asturias. 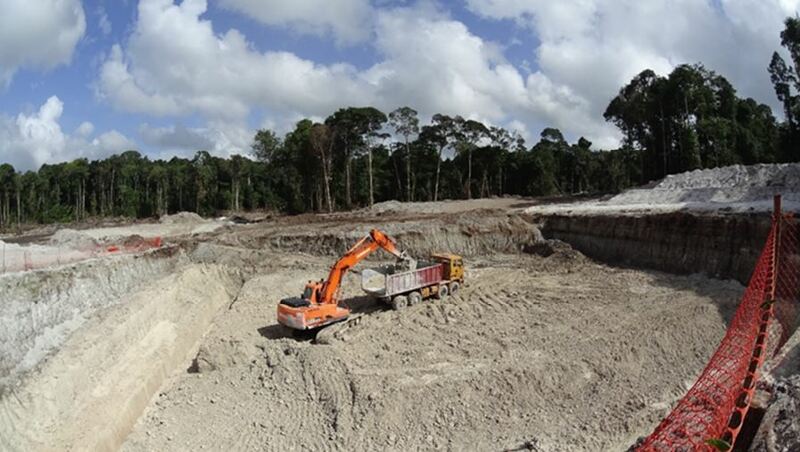 First Bauxite has received approval from the Guyana government to ship up to 40,000 tonnes of bauxite ore to Europe, Asia and North America for industrial scale product and market development in ceramic proppants and sintered refractory bauxite. First Bauxite, a Canadian company headquartered in New Orleans, is completing a revised Feasibility Study, and its current project scope envisages 75,000 tpa high purity sintered refractory bauxite, 25,000 tpa ultra high strength ceramic proppant, and 100,000 tpa high purity chemical grade raw bauxite ore. Two mining contractors have been engaged at Bonasika and mine production commenced in March 2018. On 30 April 2018, First Bauxite announced that its subsidiary, Guyana Industrial Minerals Inc. (GINMIN), received a purchase order from a customer in China for 1,000 tonnes of bauxite ore. The company expects to ship the ore to the customer in May 2018. Elsewhere, Australian Bauxite Ltd, which supplies cement and fertiliser grades from its Bald Hill, Tasmania deposit, is looking for joint venture partners to buy and develop its high quality, refractory grade bauxite deposit at Penrose Pine Plantation, 90km from Port Kembla, New South Wales. In Turkey, Demireller Mining AŞ, headquartered in Mersin, has been producing bauxite for the cement and slag conditioning markets since 2002. 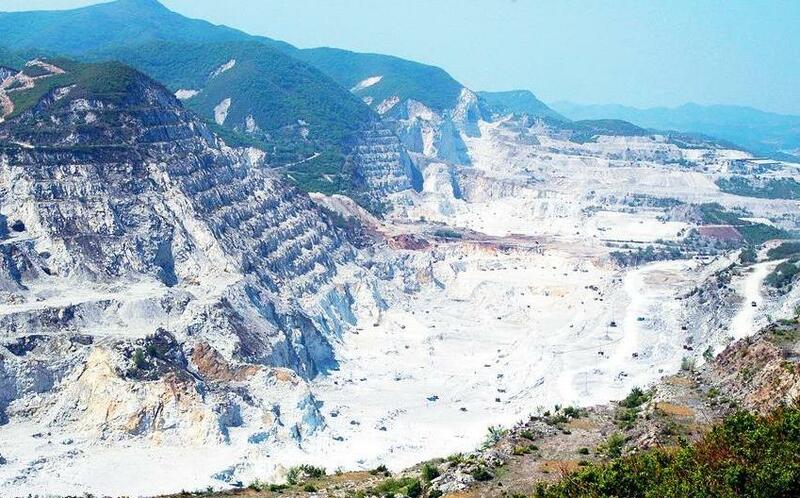 More recently, the company has been mining its 5m tonne magnesite reserve in the Taurus Mountains of southern Turkey, and is now planning to develop into DBM production, a rotary kiln has already been purchased. With Turkish magnesia leader Kumas sold out for the year, Demireller Mining follows Turkmag, planning a second DBM rotary kiln at Askale, eastern Turkey, as part of Turkey’s growing independent magnesia sector. We are living in interesting times again Mike but this time there is no curse just opportunities for minerals outside China. If North Korea comes in from the cold that will present another exciting opportunity especially in magnesite! Thanks Richard, most definitely, N. Korea also has some interesting graphite and talc prospects although I suspect infrastructure and fuel/power supply might be initial issues for any mineral supply sector to get off the ground. There are probably some borate prospects in N. Korea also. After visiting most of the borate mines and refineries in Liaoning and Jilin and studying the known geology of northern N. Korea, I think some of the Paleoproterozoic hosts rocks continue across the border. But the same infrastructure and supply problems would exist as Mike pointed out. Thanks Steve, good call. I had forgotten about Liaoning’s borates; another one to tuck away in that back pocket if/when the country opens up.